And look, it comes with one of those little ribbon things that means you don't have to use your wadded up Starbucks receipt as a bookmark! There are a number of different aggressively obnoxious things that you can get for your car, like a T-Rex eating a Jesus fish. But if your goal in life is to get your headlights smashed by some nice religious folk, nothing will beat this "Procreation Car Emblem." If you're in the mood for something a little more subtle, there are some good options in the "Customers who bought this item also bought" section. Okay, okay, I know what you're thinking. That this is shameless promotion of my wife's book, and has nothing to do with population genetics. Yes, fine, it's shameless, but it's a great book, perfect for the population geneticist with one or more F1s a home (ages 8 and up!). And it does feature a cameo appearance by population geneticist and UCLA Professor John Novembre. For reals! I've got DNA in my ear. 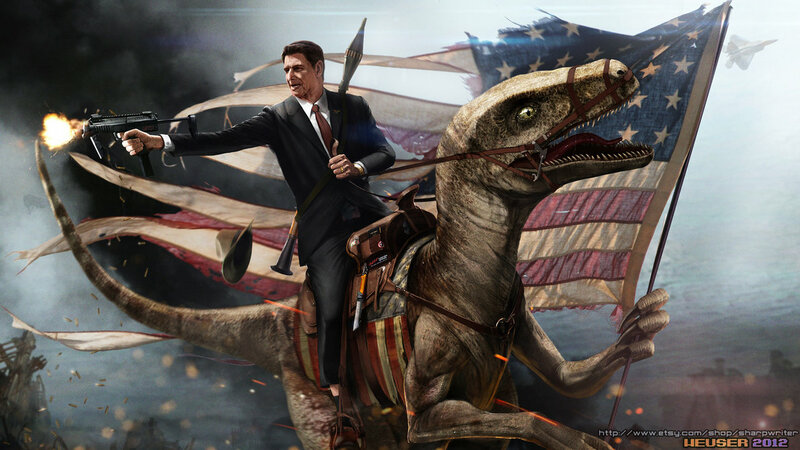 Okay, check this out. You send in a swab of DNA, and $199, and they'll send you a giant picture of a gel, which is I guess is supposed to be some fraction of your genome? Maybe? It looks like there are supposed to be eight sample lanes, and it's that old-school sequencing analysis where each dideoxynucleotide terminator gets its own lane. So this might be about forty bases of sequence. Maybe? If that wasn't bad enough, you also have the option of getting your DNA made into a giant QR code poster (that no one will ever scan). For the money, I'd go with two copies of the Ewens book. Okay, maybe you're thinking, no, a real population geneticist would not want one of these goofy personalized genetic analysis things. Those are for amateurs, mere heredity enthusiasts. Will my population geneticist friend be offended by the ridiculous pinpointing of their Y-chromosome and mitochondrial ancestry, or the ridiculous breakdown of racial composition, or the ridiculous risk-factor analysis? Well, that's the beauty of this gift. If they are the wild-eyed, naive sort of population geneticist, they're just going to be so gosh-darned excited to get all that cool information. If they're the bitter, cynical sort of population geneticist (most of them, in my experience), you'll be giving them the gift of feeling knowledgable and superior! If you want to surprise them, order the kit and swab their cheek while they're sleeping. Look! 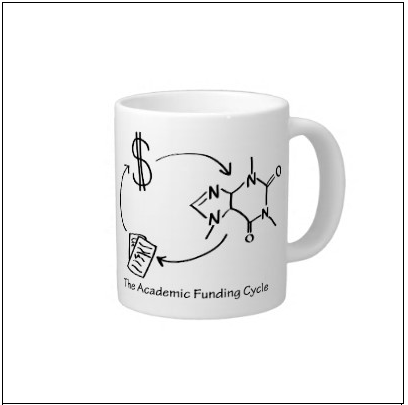 It's a mug illustrating the academic funding cycle: papers->money->caffeine->papers. Look! 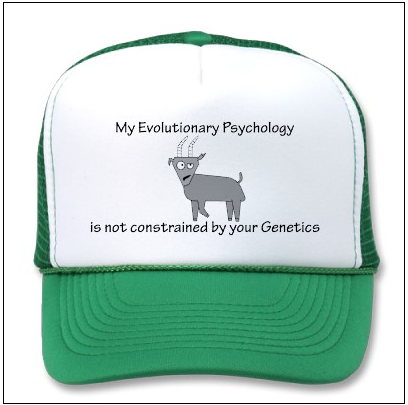 It's a trucker hat featuring Guillaume the Adaptationist Goat's credo! Look! 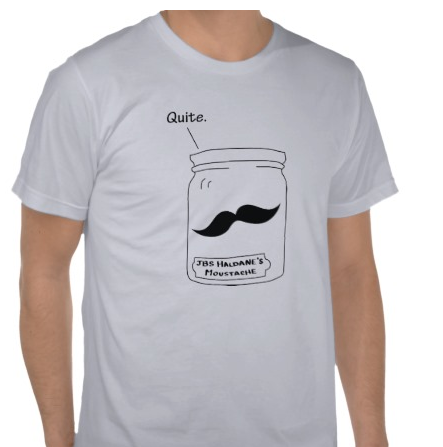 It's a t-shirt featuring J B S Haldane's moustache in a jar! Don't see anything you like? You can check out the comics and contact the "artist" here to submit special requests. Prints available in 11x17 or 24x36 from SharpWriter at deviantART. Technically, Ewens '79 is a revision of Ewens '69, making Ewens '10 the third edition. Asked in the late 90s what the difference was between '69 and '79, Ewens replied, "One's twenty years out of date, the other's 30." That's fantastic. Well, this one is only like two years out of date!